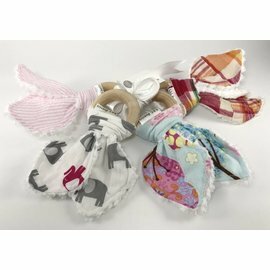 Our natural teethers are the perfect answer to concerns over toxic chemicals and finishes. 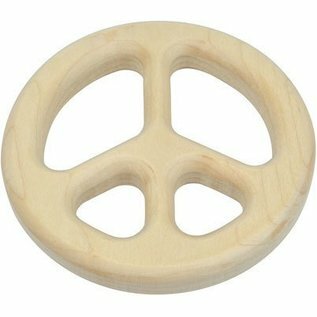 This maple teether is in the shape of a peace sign. 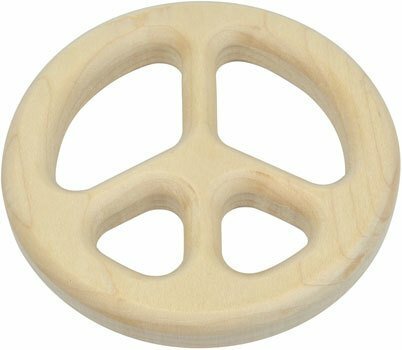 Measuring 4" in diameter and 3/4" thick and are only available unfinished. 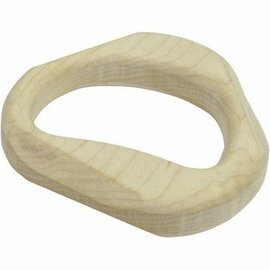 Each is rounded and sanded smooth to the touch and to the mouth and gums. Large enough for babies to get their hands and arms around and small enough to be comfortable in the mouth.